No matter how big or small your warehouse is, a schematic is the best way to get things down on paper before you start hauling things about. Creating one may seem like an effort, but the day to day workflow depends on a decent layout, something that can be figured out on paper first. Tracing off a blueprint of the building is useful, especially if your warehouse isn’t a uniform rectangular shape, but if you can’t get hold of one then grid paper works fine as well. Every inch of space is important as you want to make the most of all you have got; you also want things to actually fit once you start bringing them inside, so getting precise, correct measurements is vital. There are programs online you can use, but grid paper and plenty of sheets of tracing paper will work fine too. Depending on your business and products, there are different storage solutions you can use, so making sure you have the right shelving, pallets and crates you need will help your warehouse function better. Always get the right shelving for the weight and size of your products; this is not something you want to skimp on, as incorrect storage can lead to damage to the products you are selling, as well as posing risks to the health and safety of you and your staff. Shelving and pallets are widely available for warehousing ecommerce so do your research to find the best choices for you. You can also find different materials to choose from, including wood, metal and plastic pallets or shelving. 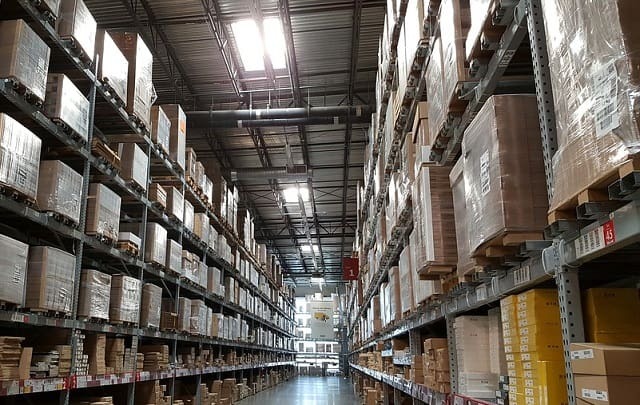 To make sure the day-to-day flow of your business runs smoothly, make sure the layout of your warehouse provides adequate space for movement, speed and efficiency. You need to have workstations set up for packing, shipping and receiving. Maximizing warehouse efficiency will make each day run smoother and decrease the chances of mistakes and issues arising. Consider your production zones and storage zones, storing bestsellers at the forefront near your packing stations for easy access. You need to make sure the spacing between shelving is adequate for the movement of your products; are your aisles big enough for pallet jacks and forklifts if you are using them? There are of course lots of variants depending on the size of your business and what products you are selling, so always look for the best options to achieve better efficiency. There are lots of things to consider when planning your warehouse, but a well-worked plan at the start will lead to better setup and maximize the potentials of efficient workflow in the day-to-day running of your business. Getting things right at the start will make things much easier along the way. I hope you enjoyed this article about how ecommerce companies should plan their warehouse for efficient shipping and packaging. Interested in more articles about warehouse management?